The delete operator deletes an object, an object's property, or an element from an array. 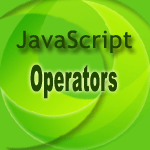 The operator can also delete variables which are not declared with the var statement. delete property // The command acts  only within a with statement. objectName:The name of an object. property: The property is an existing property. index: An integer representing the array index. The following web document demonstrates the use of delete operator.